Matthew 28:19 Go ye therefore, and teach all nations, baptizing them in the name of the Father, and of the Son, and of the Holy Ghost: Teaching them to observe all things whatsoever I have commanded you:and, lo, I am with you alway, even unto the end of the world"
The Purpose of San Diego 4Christ is to create a diverse, yet unified,multicultural coalition of Christian churches to evangelize San Diego for Christ! and to give GOD the Praise and the Glory for EACH SOUL SAVED! 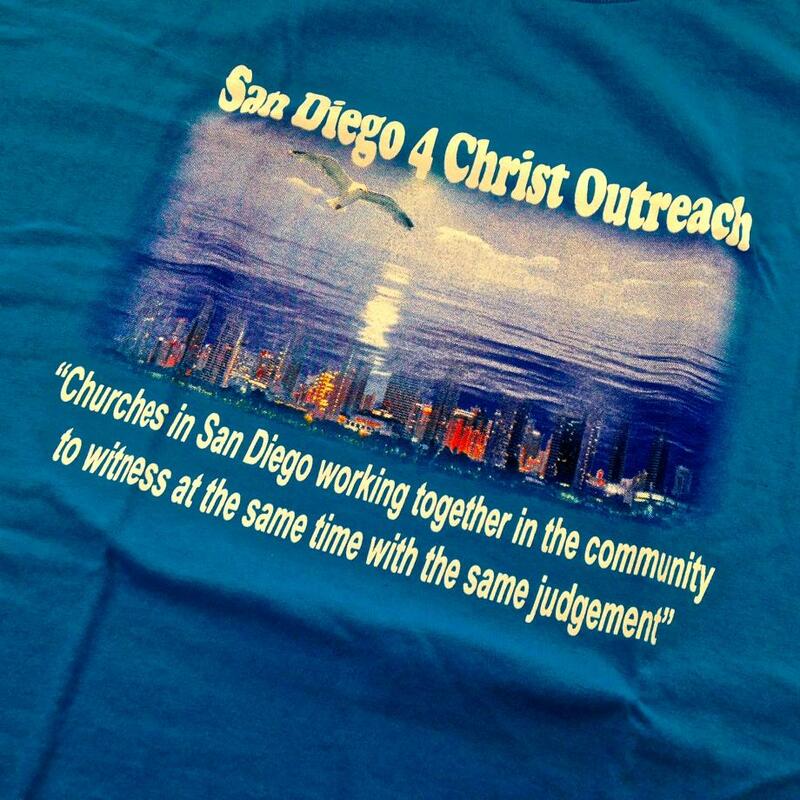 San Diego 4 Christ Outreach strives to operate under the principal of Same Mind, Same Judgement. 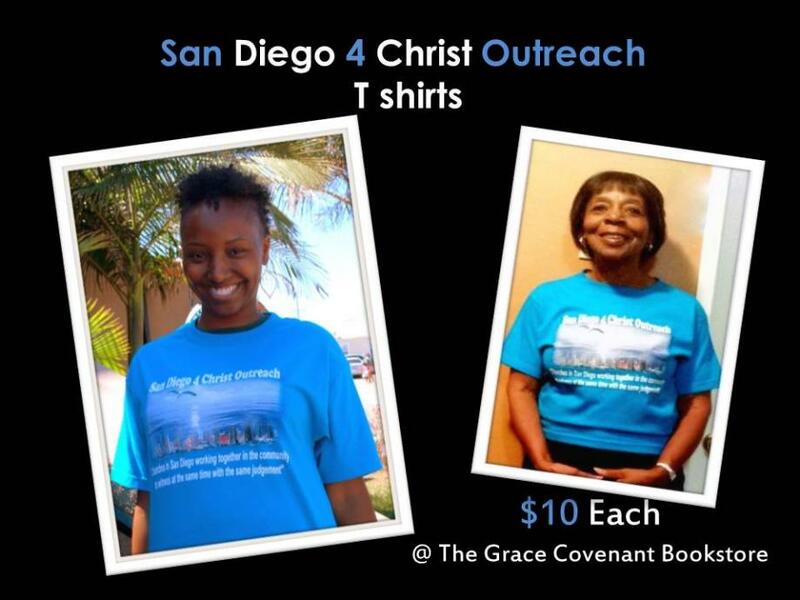 Please wear your SD4CO T-shirts when attending the outreaches. Pastor Brigid Bryant (T-Shirt Chairperson) or a representative will be able to take your order via telephone. Preparing to Win the Lost! If you would like to be a part of this coalition of Churches, come to our PREPARATION meeting for going on the Outreach mission. These Preparatory sessions will update you to the previous outreach sessions' information, give you the opportunity to meet the other partnering churches and pastors, introduce you to methodology, and give directions for witnessing territory.